This will be the sixth time Budhas Kafferosteri enters kaffenytt, who is one of my favorite coffee roasters. 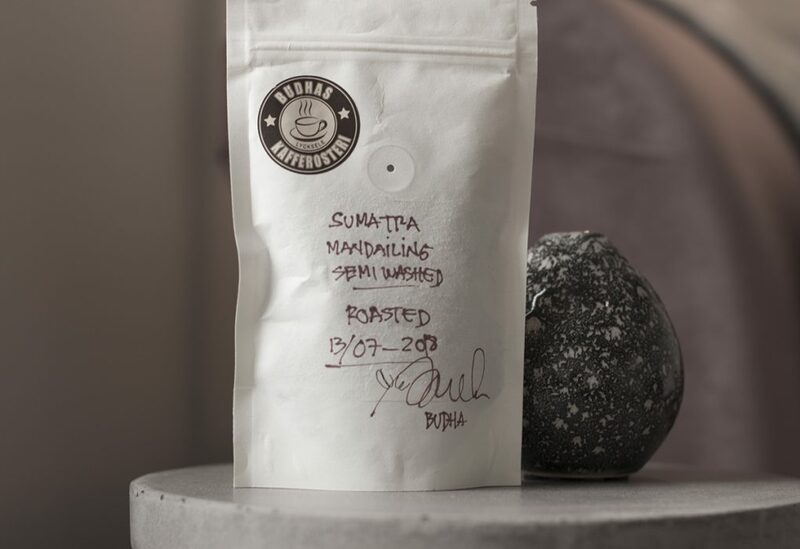 This little package was sent to me from him himself, I don’t know if this was by pure luck or if Budha actually knew it himself but I received this bag of lovely coffee on my birthday a couple of months ago. Anyways a great way to celebrate. 3) 110 g of water in a circular route that ends with a flow (approx. 10-15 g) on edge. The total brewing time of 2 minutes and 15 seconds. Review: An incredibly good Sumatra coffee, very smoky tea flavor. The coffee is very kind to you and you can drink it day after day. The fact that the coffee is washed does not give that typical washed flavor, that’s the great benefit of semi-washed (semi washed). It still has those “natural” tones, but only a little. Semi-Washed is something I would like to replace the washed process within the future as it provides a more and more exciting coffee experience. So how is the acidity in the coffee then? It’s definitely present and actually very comfortable, personally, I love high acidity but this coffee has a nice acidity. But how does the coffee stand against other coffee from Budhas Kafferosteri, it’s definitely very good. But it never hits close to my favorite from Elida Estate (click here to read the review). To compare them both, pour over is a little more like Coca-Cola (clean and sweet) and Espro is like the Swedish Christmas drink “Julmust”.